The purpose of the API is to provide data for software/web developers to build satellite tracking or prediction applications. As of March 19, 2018, the older API, based on SOAP Web Services is going to be phased out, and no new licenses are going to be issued. Existing users are asked to transition to the current API, based on RESTful, web services (REST). The REST API v1 is free but it is transaction limited. The current limit is 1000 transactions/hour. If you need more traffic, contact us. Users are requested not to abuse the system, and not use multiple license keys to get around the hourly transation limit. Traffic is monitored and logged. When the API is used in improper ways, user access will be limited or blocked. For each transaction, the caller must be identified and authorized by a license key (API key). To generate a unique license key, users are requested first to register an account at n2yo.com. After login, please visit the profile page and scroll down to access the button that generates the API key. The new API key will be accessible in the profile and cannot be changed. If you need a new key, please contact us and provide an explanation. The keys issued for the SOAP Web Services API are not valid for REST API. As a general concept, satellites are identified by their NORAD catalog number which is an integer ranging from 1 to 43235 and counting. The numbers are assigned by United States Space Command (USSPACECOM) to all Earth orbiting satellites in order of identification. If you are looking to find the id of your favorite satellite, browse categories or search the n2yo.com database until you arrive at the satellite details page, and extract the NORAD ID for your application. For instance, Space Station (ISS) is NORAD ID 25544. For all request, method used is GET. Retrieve the Two Line Elements (TLE) for a satellite identified by NORAD id. "tle": "1 25544U 98067A   18077.09047010  .00001878  00000-0  35621-4 0  9999\r\n2 25544  51.6412 112.8495 0001928 208.4187 178.9720 15.54106440104358"
Retrieve the future positions of any satellite as footprints (latitude, longitude) to display orbits on maps. Also return the satellite's azimuth and elevation with respect to the observer location. Each element in the response array is one second of calculation. First element is calculated for current UTC time. Get predicted visual passes for any satellite relative to a location on Earth. A "visual pass" is a pass that should be optically visible on the entire (or partial) duration of crossing the sky. 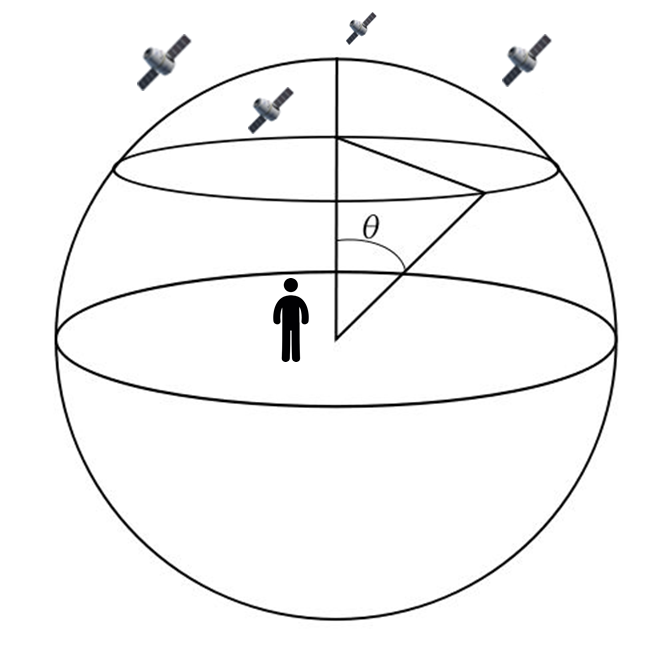 For that to happen, the satellite must be above the horizon, illumintaed by Sun (not in Earth shadow), and the sky dark enough to allow visual satellite observation. The "radio passes" are similar to "visual passes", the only difference being the requirement for the objects to be optically visible for observers. This function is useful mainly for predicting satellite passes to be used for radio communications. The quality of the pass depends essentially on the highest elevation value during the pass, which is one of the input parameters. Please use this function responsably as there is a lot of CPU needed in order to calculate exact positions for all satellites in the sky. The function will return altitude, latitude and longitude of satellites footprints to be displayed on a map, and some minimal information to identify the object.